Unless you have not had internet access or left your home for a good few weeks you will already know about the release of Zoella Beauty created by the gorgeous Zoella. If you don't know who Zoella is, she is a YouTube sensation with over 6,000,000 subscribers and she has been blogging for many years too! She has designed a range of beauty products that represent her and when these products went on sale on Feel Unique they sold out extremely quickly! Well some of it, some of it had also sold out in store!!! Zoella Blissful Mistful - Frangranced body mist RRP £8.00 for 45ml. "A super light and feminine body spritz to scent your body with fresh and floral notes. Enriched with Vitamin E and fruit extracts - bliss in a bottle! Delicately scents the body with a super feminine blend of fresh and floral notes." I have to say the scent is lovely, fresh, fruity and girly, exactly what I look (or sniff) for in a perfume! I really like the look of the square glass bottle and the rose gold effect lid! The perfume transfers onto skin nicely but it doesn't stay around for too long which is disappointing meaning you need to top up throughout the day. I really like the scent, however I wouldn't repurchase this product as I like a perfume/body mist/body spray to stick around all day or for a good few hours at least. I do want to get the candle next time as when I had a smell it smelt amazing and I do not know why I didn't grab one at the time! I also really want to try the bath fizzers as they seem to be extremely popular.....oh and the guinea pig beauty case!!! 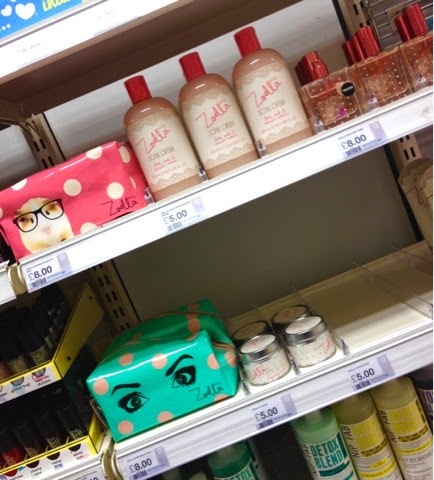 Have you tried any of the Zoella Beauty range yet? What are you thoughts? I have a bottle of this but I haven't even smelt it yet! I ordered it online and I've not got round to opening it! It sounds so lovely though! I haven't checked these products yet, they don't stock it at my local Superdrug so I'll have to wait until I'm in the city. The body mist sounds lovely!